Moving away from its dependence on copper, Zambia has been focusing on nontraditional exports for some years. Government policies and reforms to open the agricultural sector to direct foreign investment, eliminate foreign exchange controls, and simplify tax and tariff policies were significant in stimulating export growth, but exports can expand still more rapidly and, thereby, boost incomes in rural Zambia. The U.S. Agency for International Development (USAID)-funded Market Access, Trade, and Enabling Policies (MATEP) project was designed to increase Zambia’s exports of agricultural and natural resource products into regional and international markets. Collaborators on this project included DAI’s South Africa office, and the Zambia Agricultural Technical Assistance Center (ZATAC), the Zambian center of excellence in agribusiness services and financial intermediation. 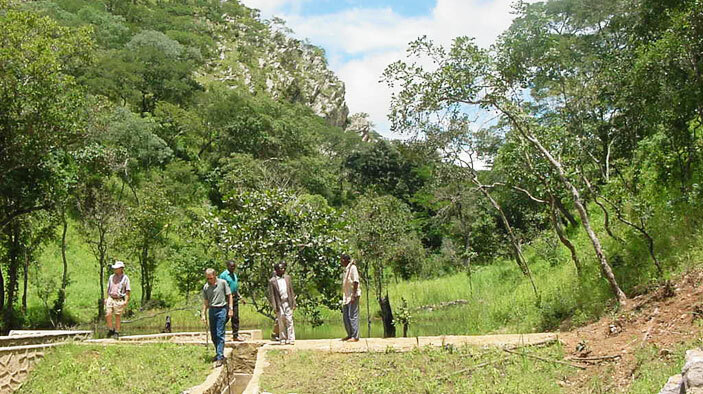 DAI assisted in establishing ZATAC through a previous USAID-funded project. Increase exports in: horticulture, paprika, honey, coffee, livestock, cotton, maize, and cassava. Exports of these eight products, plus tourism, offer the greatest potential for growth and economic impact. Help stakeholders in other value chains respond to opportunities as they arise. Work with the private sector to improve market access, and with the public sector to remove policy and regulatory barriers to exporters. Work with the financial sector to increase access to capital. Assisted the Zambian Government and the Zambia National Tourism Board in marketing Zambia as an international tourist destination. Helped launch Zambia’s only fruit and vegetable canning plant, whose products replaced imported goods on Zambian store shelves and are being exported throughout the region and to Europe, where MATEP helped with marketing. A supply contract for 36,000 cases of product a month was signed with Spar Africa. Farmers, both small and large, were supplying fruits and vegetables to the company. Factory employment reached 500 in 2007. Assisted startup of Zambia’s only plant for processing paprika into high-value oleoresin for export as a natural colorant. Zambia’s paprika sector had been struggling with international prices providing barely sufficient margins for local production, marketing, and export. MATEP helped get the plant refurbished and running so that it could buy paprika and sell oleoresin into a lucrative international market. Farmgate prices rose more than 50 percent by the end of the project, providing new incentives for many farmers to enter production and revive a dying sector.